As a half-demon in the netherworld, Muse's earliest memories are of a life beyond the veil, where she was little more than a plaything for the cruel and cunning, Da'mean. Living as a human in Boston, she began to realize that her perception of freedom was all an illusion. Now, as an enforcer for the Institute, she is restless. Her demon clambers to be free as much as her human side, and as loyalties are tested, she begins to allow her demon the freedom she so desperately desires... but with a world of consequences. 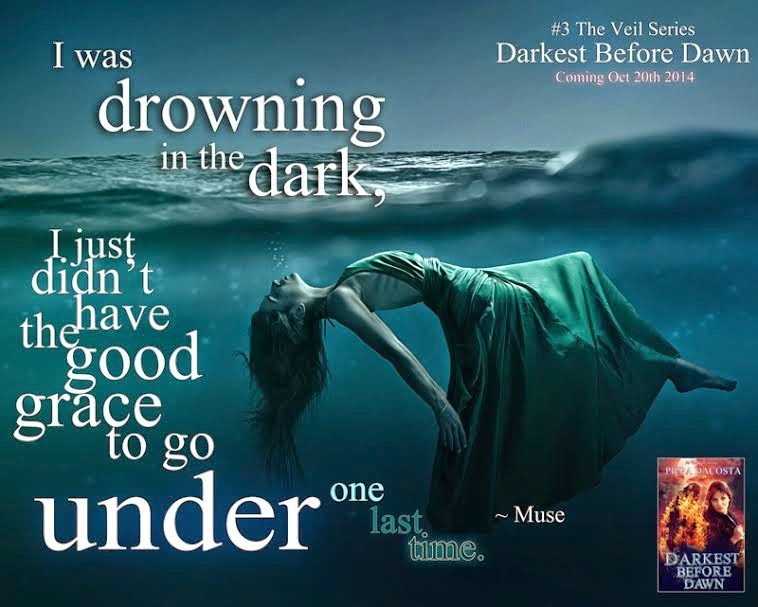 A war is brewing, and soon Muse will find herself right in the middle of it. Akil, the Prince of Greed, is back in full force. But now that he's shown Muse some of his vulnerabilities, she is left with more questions than answers. We're still not quite sure what he has up his sleeve, but somehow -- despite his demon ways -- he is still hard to resist. "Summoning a demon is easy. It's what you do with them when you have them that's tricky." Stefan, the ice-elemental half-demon, continues to make Muse question her loyalties and motives. As if battling her own demon isn't hard enough, she is drawn to Stefan like a moth to a flame. But behind the ice-blue eyes is a complex being, and now Stefan's course is taking a frightening and unexpected turn. Muse will be drawn deeper into the battle, and will have to choose a side. But between the institute, the enforcers, and the princes of hell, the battle lines continue to blur, and choosing a side may be easier said than done. This third installment offers up the most complex storyline in the series, so far. And what a great story! Muse's fearsome demon brother, Valenti, plays a significant role, and other characters rise to the surface as Muse continues on her path to uncover the truth. We are left with more questions than answers, but the next installment is set to release soon, so we won't have long to wait!